Jezebel is using Smore newsletters to spread the word online. Do you know what Amendments mean ? Amendments means a minor change. All the amendments can be change or be able to make a new one. 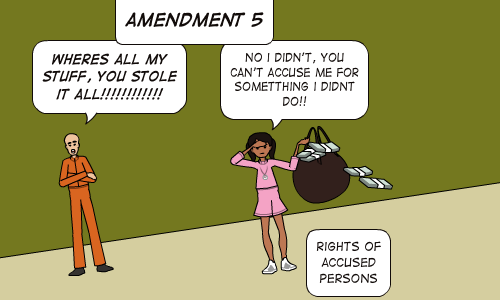 Do you know what the 5 amendment says in the Constitution ? It says, No person shall be held to answer for a capital, or otherwise infamous crime, unless on a presentment or indictment of a Grand Jury, except in cases arising in the land or naval forces, or in the Militia, when in actual service in time of War or public danger; nor shall any person be subject for the same offence to be twice put in jeopardy of life or limb; nor shall be compelled in any criminal case to be a witness against himself, nor be deprived of life, liberty, or property, without due process of law; nor shall private property be taken for public use, without just compensation. 5 Amendment in actual English ! 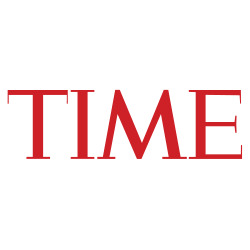 Sets out rules for how people are sentenced for the crime by the Grand Jury. Due process of law-going through the steps of legal proceedings. Prohibits double jeopardy- you cant be tried twice for the same crime until there is new evidence. 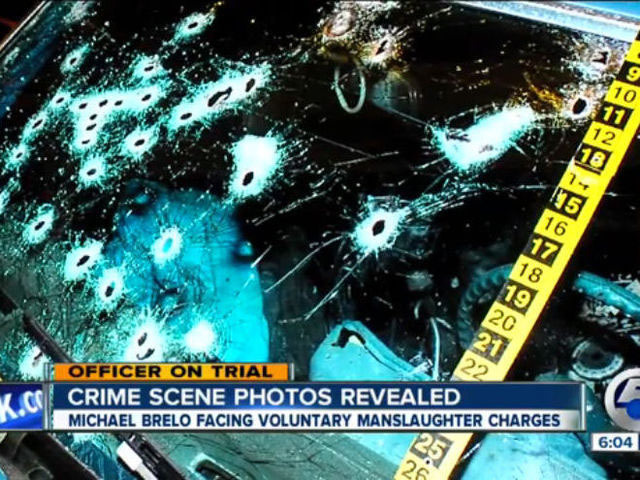 A Cleveland police officer invoked his Fifth Amendment right against self-incrimination after taking the stand at Officer Michael Brelo's trial on Wednesday. 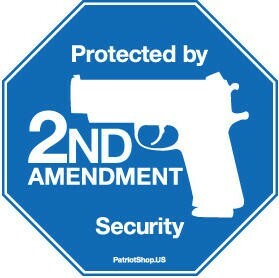 Any law abiding citizen has a right to bear arms to protect them from enemies both foreign and domestic. They make up the militia to protect our Nation form itself if need be. At least one of the founding fathers said that there will be times when the State or Federal Government will over step it's bounds and will need to be put back into it's place. Ballotpedia is a nonprofit, nonpartisan professionally curated encyclopedia designed to connect people to politics and elections at the local, state and federal level.